Late Sound at Night, Not the Easter Bunny! Catastrophe! My friend Kitt Bradley, author and mom, kindly offered to help out with this week’s Yankeeskeptic. While last week was about dogs, this week is about those ever mysterious creatures, cats. My own cat has had this same problem, with a mysterious ghostly object chasing her through the house. Thank you Kitt for sharing! We have two cats, so it is never quiet all night at our house. 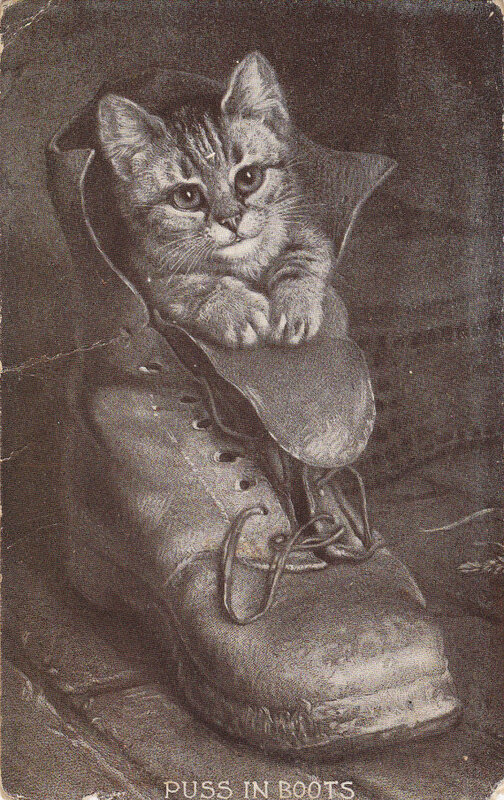 Sometime between 10 pm and 2 in the morning we can count on the ‘midnight crazies’ when, to judge by the sound of it, our kitties find small, tight-fitting army boots and don them, then run laps around the house. (We have concluded these boots are also covered in fur so that when we see them running, the boots don’t immediately show; the cats can then hastily kick them off behind the couch and pretend they never had any on. But given the amount of noise they make compared to normal cat locomotion, something with hobnails must be involved.) This wee hour clomping is so common that I usually sleep through it; however, a few days ago it was accompanied by an arrhythmic clunking, as if someone were spilling dominoes off a table. My brain recognized the unfamiliar sound as worthy of attention, and I was pretty much awake when the second round began. I tried to go back to sleep, but my trained Mommy reflexes kicked in—what if that sound included something that would be Permanently Damaged if left until morning?—so I reluctantly got up to see what had happened. At night, cats seem a bit loud for animals with soft paws! At first glance, there was nothing going on at all. Then, as I stumbled forward blinking, I spotted a small brightly-colored ovoid against our light brown carpet. (The color is too brown for beige, but not really dark. I think the brochure called it ‘angel wing’ which just goes to show that drug use did not end in the 60’s. It’s good to think that someone with frequent flashbacks can get work.) Then I saw another colored object, and another, and a whole cluster where the two upstairs halls converge: Red, yellow, green, purple, they were scattered in a rough fan shape at the intersection. More brain cells came online, and I remembered we had just had Easter. “Jelly beans!” I announced with mixed pride (at recognizing what they were) and confusion (because why were there jelly beans on my rug that hadn’t been there when I went to bed?) I then noticed a small rectangular object leaning against the door to my daughter’s room with a colored foil wrapper: A Hershey’s Special Dark miniature chocolate bar. Filled with curiosity and a growing suspicion, I went down the right hand hall to my study. The door was open, as it often is at night. I noticed two things immediately: The bag with leftover Easter candy that had been on the floor beside my chair was missing; and a pronounced odor of cat pee filled the air. I suddenly knew what the housewife in an M. Night Shymalan movie must feel when the eerie music starts playing. I heard a sinister rustling from beyond my chair and stooping to peer underneath my desk—I have one of those modern flat surfaces with no real cabinetry—I saw a dark shape with glinting eyes staring back at me. Sally, our adopted black cat, fixed me with the glare of the Unhappy Feline. Sally has been part of our family for several years now. She is nearly all black with just a few white hairs on her chest that are hard to see unless you are petting her and can smooth the longer dark ones out of the way. She has golden eyes and is lean and lithe, such a poster-worthy Halloween Cat that we named her Sally after the ragdoll heroine of “The Nightmare Before Christmas.” The cat rescue service had called her Marionberry, which seemed to us a ridiculous name for a cat. We later realized this was due to us assuming they had named her after the fruit; but no, it must have been for Marion Berry, the cocaine-using mayor of Washington DC. Sally alternates between acting very lovey and cozying up to us, and zipping around like a maniac in a black fur jumpsuit. She is also obsessed with licking plastic. Plastic grocery bags, plastic bubble wrap, the plastic tape we put on the sofa to try to keep her from clawing it—she has serious plastic issues. I don’t know if it tastes good, smells good, or is the best source of tongue massage in the galaxy, but whatever the reason, we have to keep every plastic bag in a drawer or cupboard, and dispose of any plastic wrapper immediately in a trash can inside a closed cabinet to keep her from licking, licking, licking, licking on it. Visions of paying for emergency surgery for a blocked intestine have haunted me since the day I caught her with two-thirds of a fast food straw wrapper hanging out of her mouth. 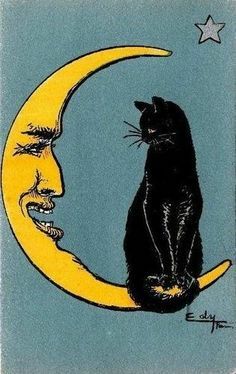 Night time is play time for a cat. Also getting into trouble time. So when I saw her curled up behind my file cabinet under my desk with a white drugstore bag under her hip, I was able to quickly recreate the likely scenario. Step 1: Sally discovers that I have foolishly forgotten to put the bag with the un-basketed candy leftovers in my study. Step 2: Sally starts licking the plastic. Step 3: In the process of trying to lick every delicious atom of whatever it is she finds so compelling off the surface of the bag, she sticks her head through the handle-holes in the bag. Step 4: Something else catches her attention, and she starts to walk away. Step 5: SOMETHING IS FOLLOWING HER!! I have seen another cat experience the grocery bag drag chute effect. The cat’s instinctive leap away from the unknown object causes the bag to inflate and make a noise—which makes the cat start running, which further inflates the bag, and cause it to pull on the cat’s neck. Now the cat is convinced a superior predator is trying to grab it by the throat, and the only recourse is full-out flight. But the evil bag follows wherever they go! This process continues until the bag breaks or the cat is exhausted. If this bag happens to have some jelly beans and small chocolates in it, they will be flung by centrifugal force out onto the rug every time the cat—desperate to escape the slavering Bag of Doom—changes direction. Since our upstairs halls form an L-shape, this put the greatest force on the candy just outside my bedroom door, though the point where she apparently reversed course at the guest room end of the left hall also showed some impressive outflow. I further surmise that when the Evil White Rattling Death Bag followed her to her hiding place behind my file cabinet, she surrendered to a primitive instinct and let fly with her last liquid defense. Certainly the bag (and, alas, my carpet) showed evidence of both primal fear and a lot of water drinking since her last trip to the cat box. I managed to remove the bag—which by now had slid down to what on a human would be the waist—and discovered that the plastic and the cat were both soggy. I also found that she had at some point in the event managed to break off her collar (we get the kind with the safety release that keeps your pet from strangling itself if the collar gets caught on something). At this time I noticed that my husband was observing my under-desk struggles with a credible attempt at suppressing his amusement. “Get me some paper towels,” I ordered, “she’s pretty pissy.” After cleaning Sally and myself up a bit and determining that while she was definitely scared—I think her tail remained puffy and her eyes three sizes too big for her head for the next hour—she appeared to not have injured anything except her furry dignity, we finally were able to laugh about it. This is good, as the process of locating jelly beans and the odd chocolate egg and disposing of them continued on into the next day when my daughter asked, “Why are there jelly beans on the floor of my bathroom?” We still have to give Sally a bath and figure out how to get to the source of the lingering aroma under my desk and spray it with enzyme cleaner. But, as my husband observed, the real tragedy of the matter is that we don’t have a security camera on the upstairs hallway. If we did, I’m betting that America’s Funniest Home Videos would make us $10,000 richer! « Adopt the Dog of your Dreams, Guilt Free for any Dog Breed!